Things are really ROCKING at Harrys Bingo currently, well they have their “Nostalgia for the 70’s”, “Rocking Bonuses”, “Groovy £2,000 Tournament”, as well as, the “Psychedelic Flash Back” and that great promo, the “FREE FREE FREE Ride for All”. 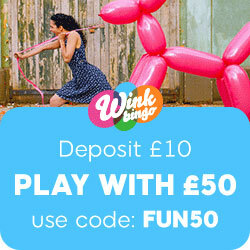 And these are just a few of the really rocking games, offers, events, promos and prizes at one of just about any player’s favourite sites – Harrys Bingo! We really should start with the really “Rocking Bonuses” because players will get so very much from these – many £’s worth of value! Its simply a matter of making a deposit and you’ll really rock to the tunes of the 70’s £ wise! Thinking about “Nostalgia for the 70’s” this great promo is about heaps of BBs up for Grabs – 600 of them, up for grabs, with the games twice per hour at random and EVERY single day too! That’s right players the special ‘Peace’ and ‘Love’ patterns are played in the 75 Bingo Hall every day – well 2 times per hour as a matter of fact right up until the 31 July too! Well how about “FREE FREE FREE Ride for All” what is that promotion all about? Simply enough, it means that players will get to enjoy One (1) Free Game every single hour, every single day during July – right up until the 31 July! Where? The great 80 Ball Bingo Hall at Harrys Bingo that’s where! Now what else makes you think of the 70’s or even the 60’s? Anything ‘Psychedelic’ of course! So how about a “Psychedelic Flash Back” experience then? Harrys Bingo are treating players to their version of a real Psychedelic Flash Back with their special scheduled promotions, EVERY HOUR, of EVERY DAY of July. This entry was posted in Online Bingo News and tagged Harrys Bingo on July 2, 2010 by SuperAdmin.